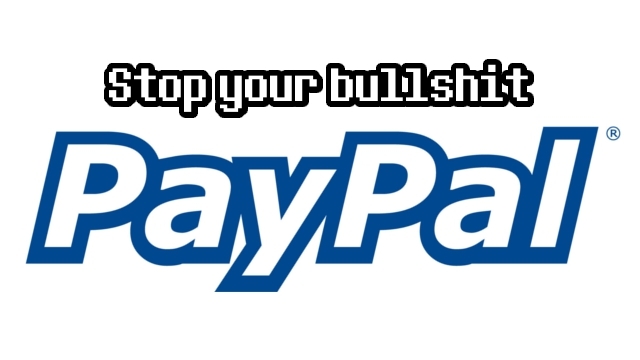 What is up with PayPal lately? Nyu Media’s Seon King announced the other day on Yatagarasu‘s Indiegogo page that PayPal was withholding 50% of the funding that they’re to receive from those who payed using PayPal to donate. Given that many prefer to make payments online using PayPal’s system, that’s a lot of money being held. $118,243 was raised for the project, many of which was payed using PayPal. This entry was posted in Gaming News and tagged fgc, fighting game, fighting games, King of Fighters, KoF, nyu media, SNK, Yatagarasu, Yatagarasu Attack on Cataclysm on September 10, 2013 by Steven T..
585,060 viewers accidentally found us!